Head to Fremantle Markets and Garden City Shopping Centrefor plenty of shopping. Visit Fremantle Prison and The Perth Mint for their historical value. You'll find plenty of places to visit near Perth: Rockingham Beach (in Rockingham), South Beach Recreation Reserve (in Fremantle) and Millendon (Tyler's Vineyard & Olive Farm Wines). 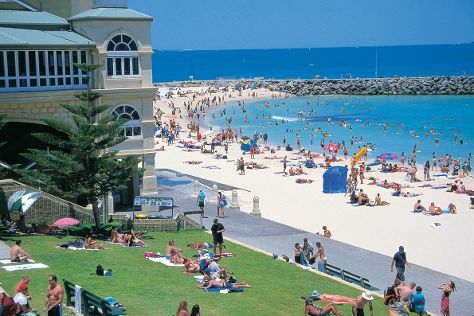 There's still lots to do: kick back and relax at Cottesloe Beach, appreciate the history behind Kings Park War Memorial, tour the pleasant surroundings at Warnbro Beach, and contemplate the waterfront views at Swan River. For maps, other places to visit, ratings, and tourist information, you can read our Perth tour planner . If you are flying in from Singapore, the closest major airport is Perth International Airport. November in Perth sees daily highs of 33°C and lows of 15°C at night. Cap off your sightseeing on the 20th (Tue) early enough to travel back home.